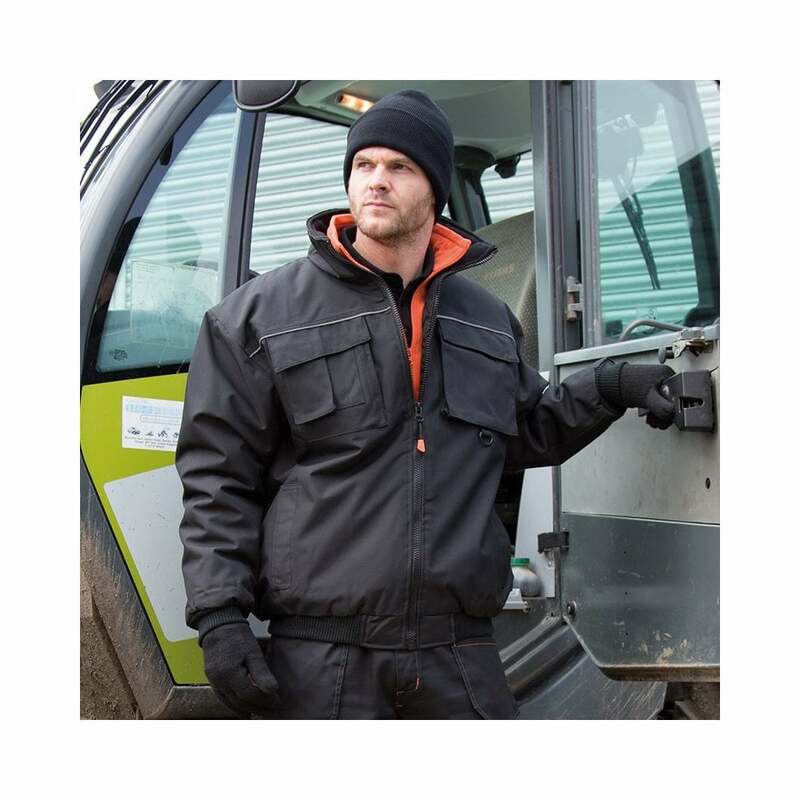 Result Work-Guard Sabre Pilot Jacket this is the perfect outdoor jacket suitable for any work place. It is made from polyester with a PVC coating and has a polyester taffeta lining. It features fully taped seams, critical twin needle stitching, many pockets inside and outside and elasticated cuffs and waistband. 2 colours. Chest (to fit) XS - 34", S - 38", M - 41", L - 44", XL - 47", XXL - 50", 3XL - 53", 4XL - 56"